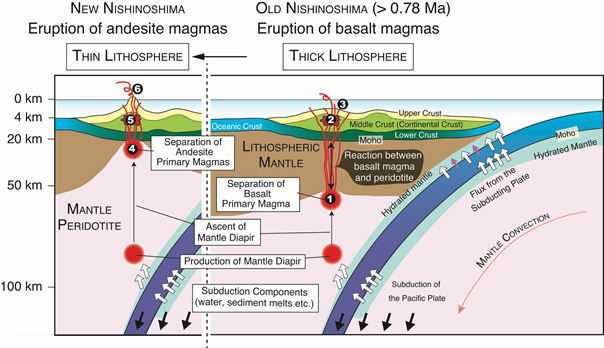 A group of scientists led by Dr. Yoshihiko Tamura has presented that andesitic magmas are directly produced through partial melting of the underlying mantle beneath Nishinoshima after analyzing surface and submarine lava samples collected there. This study project was carried out in collaboration with National Institute of Advanced Industrial Science and Technology and University of Canterbury in New Zealand. Andesitic magma is unique as it is only found on our planet Earth in the solar system. As the primary raw material of continental crust, andesite has been deeply involved in the development of the earth’s surface and its lithospheric plates. 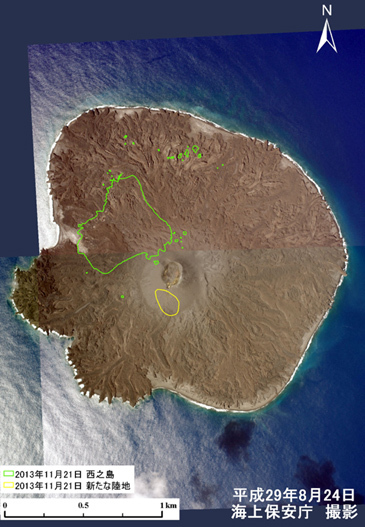 The research group has proposed the hypothesis that eruption of andesitic magma in Nishinoshima is likely to be recreating the first appearance of the continents, which they call “advent of continents” (as reported on September 27, 2016). 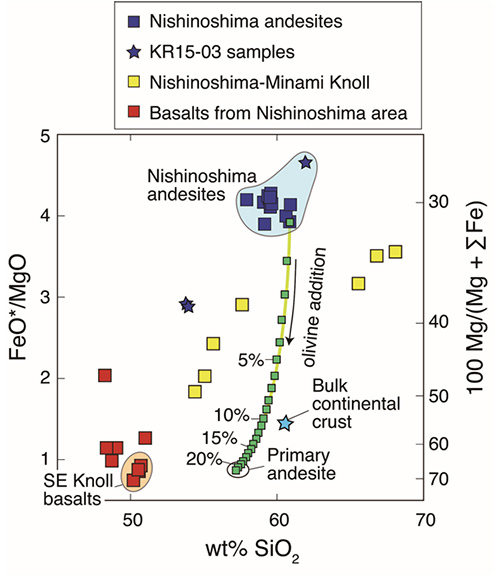 While previous studies had already indicated that unique boninite-like andesitic magmas were generated directly from the mantle, this study has presented in the first time that normal andesitic magmas extruded from the submarine volcanoes currently being active like Nishinoshima have been directly produced from the underlying mantle, when the curst is thin. The scientists will continue to work on whether their hypothesis is supported also by other submarine volcanoes in oceanic arcs, which erupted on similar thin crust. The above work was supported by Japan Broadcasting Corporation (NHK), JSPS Kakenhi Grant Number 17H02987 and 17K05686. A part of this work was supported by the Korea Institute of Energy Technology Evaluation and Planning and the Ministry of Trade, Industry & Energy of the Republic of Korea. 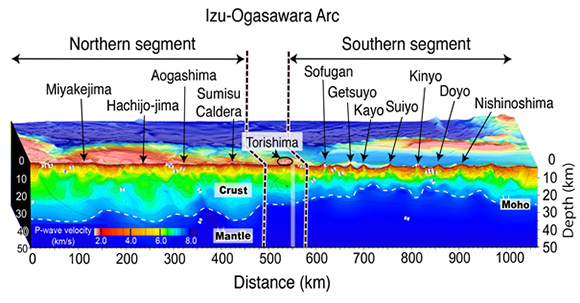 The above results were published in Island Arc issued by Geological Society of Japan on November 9, 2018. Title: Nishinoshima volcano in the Ogasawara Arc: New continent from the ocean? 1. Research and Development center for Ocean Drilling Science, JAMSTEC 2. Research Institute of Earthquake and Volcano Geology, National Institute of Advanced Industrial Science and Technology 3. University of Canterbury. Fig.2. 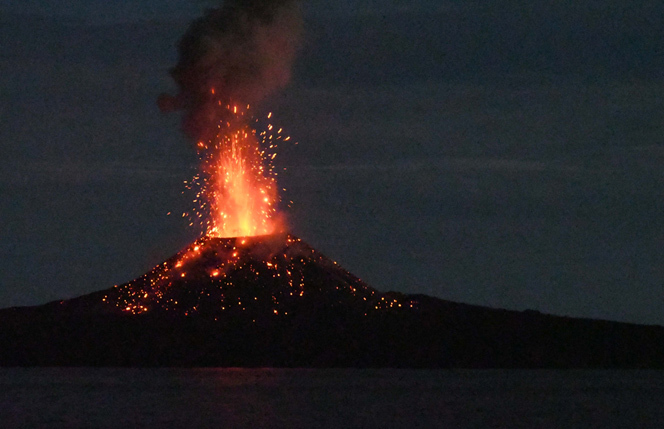 Eruption in July 2017. 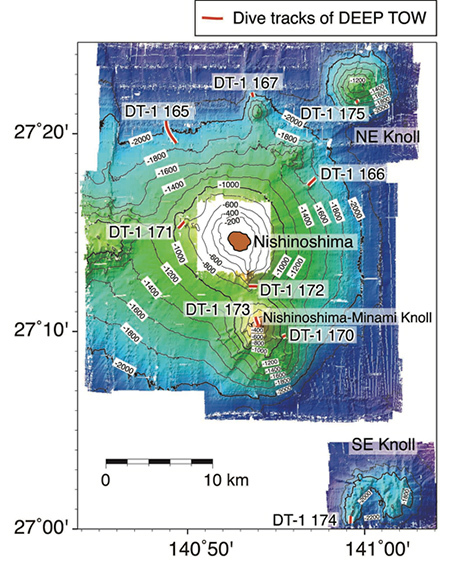 Fig.3 Survey areas in Nishinoshima by the deep ocean floor survey system, DEEP TOW. Surface lavas were collected by NHK using an unmanned helicopter and submarine lavas by JAMSTEC using DEEP TOW. JAMSTEC carried out the rock analysis. 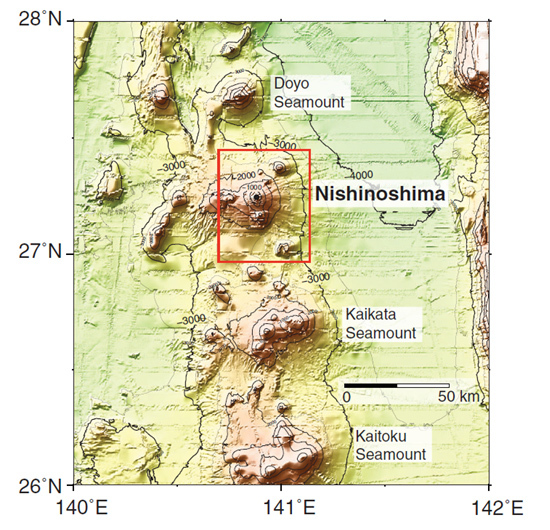 Fig.4 Nishinoshima is 1,000km south of Tokyo, and lies mostly below sea level. Growing from a depth of 3,000m, the Nishinoshima volcano is a massive undersea volcano with a basal diameter of 50 km, and the 2 km diameter summit that has appeared above the surface is referred to as “Nishinoshima.” Doyo Seamount, Kinyo Seamount, and other Shichiyo Seamounts continue to the north of Nishinoshima, while submarine volcanoes such as Kaikata Seamount and Kaitoku Seamount tower to the south. 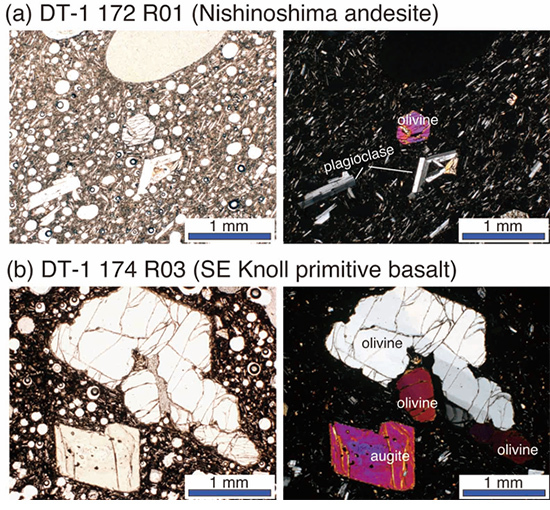 Fig.5 Photomicrographs of Nishinoshima andesite and SE (southeast) Knoll basalt, under plane- and cross-polarized light. Phenocryst-poor Nishinoshima andesites contain olivine phenocrysts, in addition to plagioclase and augite. Basalt from the SE Knoll. SE Knoll primitive basalts are generally rich in phenocrysts and contain olivine, augite, and plagioclase as phenocryst phases.